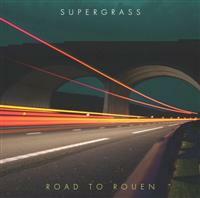 Supergrass are returning with an acoustic tour a full electric tour to promote new album Road To Rouen. The new album is released on the 15th of August and can be pre-ordered from amazon for a respectable £8.49. The preceding single St Petersburg is released on the 8th of August on CD and 7".